This newly furbished home boast 2 bedrooms. One room has a king size bed and the 2nd room has two king single beds which can be joined together to make one king size bed. In the lounge there is a double fold down sofa bed. Sleeps 6 in total. This is a fully insulated house with large heat pump, full kitchen, tiled bathroom, separate toilet, laundry and carport. Private courtyard plus grass area. Bus stop,tavern and dairy, next door. 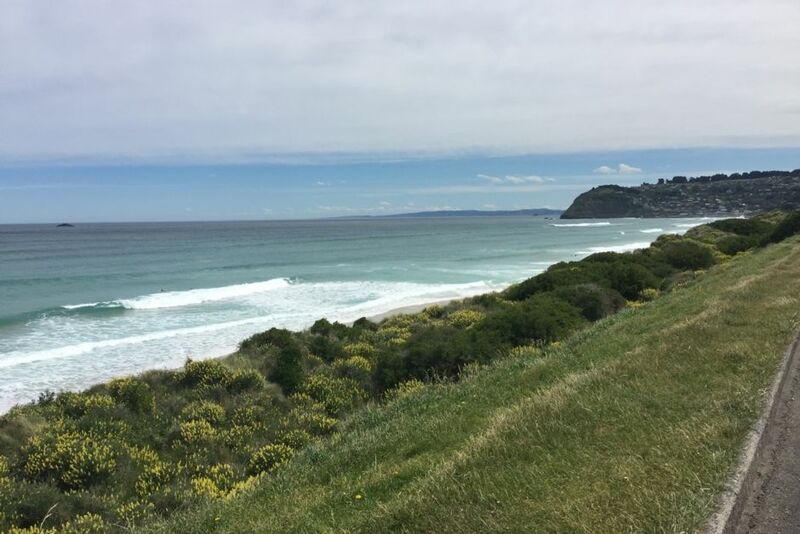 Walk 100 metres to the beach, Chisholm golf course, ice skating rink,plus supermarkets, shops, petrol stations and St Clair Esplanade within walking distance. Wonderful views of rugby field through to Chisholm links golf course. Centrally located at entrance to St Kilda beach.Very sunny courtyard. 10% discount for 7 nights or more. Price is for 2 persons. $30 per extra person. Walk 100 metres to the beach. Close to St Clair beach, cafes, shops and St Kilda beach. My mother and I stayed in Dunedin as a quick stop in between Wellington and Queenstown. The location of this house worked out quite nicely, as we both love long walks and going to the beach. We were able to do both quite easily from here, and we also caught the bus right across the street to go to dinner in the Octagon. This is just a great spot if you want a relaxed beach holiday. Plenty of space for us to spread out, tons of natural light, and very self explanatory check-in and check-out. Would stay again! Great location; clean and perfect for our needs. A bit misleading with the profile picture of the beach. Home is near beach however, the beach isn’t visible from property. Great location and very handy to have bus stop just around the corner! place is so beautiful and clean tidy . Great location - very clean and comfortable. Great location - very clean and comfortable. Busy road but easy to get in and out of. A huge car might be a bit of a problem in the carport but our average sized sedan was fine.